Powerful, compact and equipped with the latest technology. Pumping out of water after floods, fire damage restoration, pipe damage, flat roof refurbishment, pond or pool cleaning and other cleaning tasks. This modern professional vacuum pump is specifically designed for fire brigades and the German Federal Agency for Technical Relief (THW), and long-term use with all types of floods and high water. Contaminated wastewater, sludge, stones, wood and other non-flammable solids and suspended matter can be efficiently sucked away. Featuring a range of close to 20 meters, emphasis is on the highest degree of safety and performance. The Heros comes with IP 68 connectors with bayonet retaining rings and protective covers, safety switches and an IP 54 socket as standard. 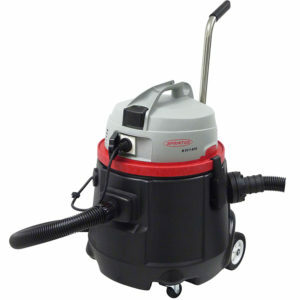 The impact-resistant and compact plastic tank allows optimum mobility with a low overall weight of only 19 kg. 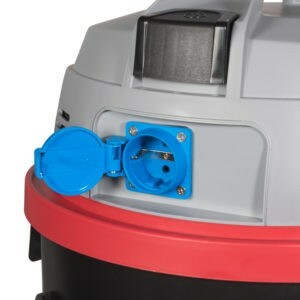 Further standard fittings such as the separate connectible pump, solid rubberised wheels with practical locking brakes, and fire brigadeapproved Storz coupling provides you with a reliable partner at your side.